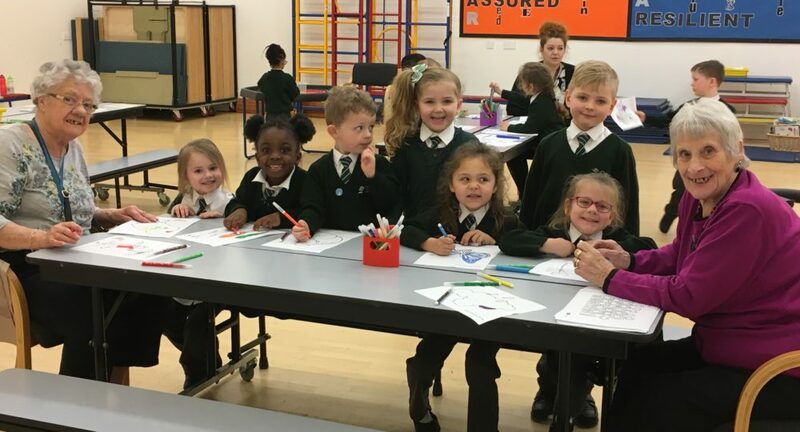 On Thursday 14th March, Cedar Children’s Academy welcomed 8 residents from Watling Court in Gravesend for their first intergenerational learning session. The school is aiming to have the same resident return to the school each week to visit the same classrooms so that relationships can be fostered between the generations. Reception classes have been invited to Watling Court to visit them later this academic year too. The children represented the school incredibly, introducing themselves and being more considerate to the eldest visitors who were in their 90’s. They happily worked alongside each other at a variety of activities which included puzzles, board games, craft, colouring and playdough. The interaction and conversation flowed between our youngest children and the older generation. 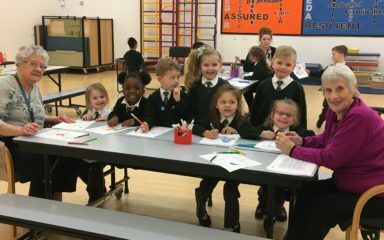 The Reception children listened intently, asked and answered questions and used their communication skills in a rather different way to what we have seen in the classroom previously. At the end of the day, the children were commenting about how they had made new friends. The residents left with smiles on their faces and a spring in their step! The school has received many compliments about their children including how polite, eloquent, caring and helpful they were. Cedar Children’s Academy are very excited for when additional residents will be visiting them this week.